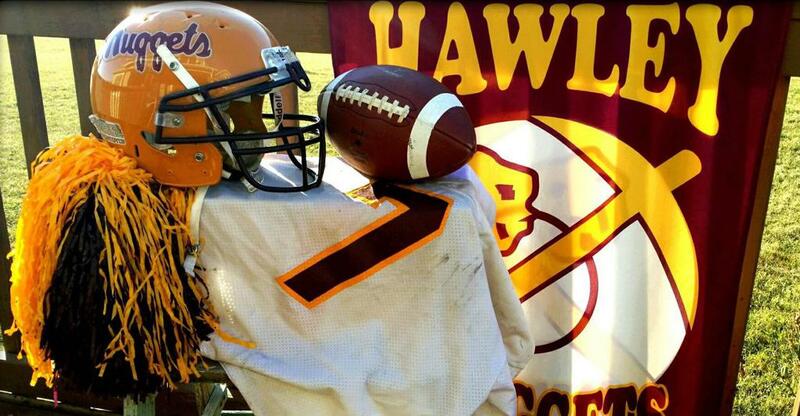 The purpose of the Hawley Nuggets Booster Club is to support and promote athletic activities at Hawley High School (HHS) by uniting students, parents, coaches, faculty, staff and the community in a way that enhances the sharing of school spirit, and promotes moral and financial support. The objective of the organization is to promote athletic programs at Hawley High School through active participation of as many members as possible in booster club activities. · Support HHS students and staff and the athletic programs through advocacy, volunteer activities and fundraising. · Use all funds raised to support the booster club’s objectives, improvement of facilities, and HHS athletic scholarships. · Reach out and involve the Hawley community in booster club activities. · Exchange ideas and promote school spirit among parents, teachers, staff, students, and the Hawley community. ©2019 Hawley Booster Club / SportsEngine. All Rights Reserved.